Thank you for your support during this difficult time. Please enhance this tribute to George by adding your memories and photos. 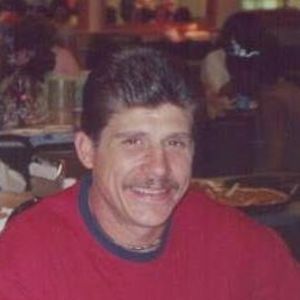 George Michael Doebler, 57, of Charleston, SC, husband of Kathy Marie Anderson Doebler entered into eternal rest on Thursday, February 28, 2019. His Funeral Service will be held Tuesday, March 12, 2019 in the J. Henry Stuhr, Inc., Northwoods Chapel, 2180 Greenridge Road at 7:00 pm. There will be a gathering of family and friends from 5:00 pm until the time of service. George was born October 18, 1961 in Columbia, SC, son of the late Ronald Emmit Doebler and Evelyn Bynum Everidge. He was a commercial fisherman by trade, which was his life's love. George worked construction around the Charleston area, owned his own tree service and worked at the Charleston Naval Shipyard. He was a member of the Harleyville Southern Methodist Church and loved his Lord and family. He is survived by his mother, Evelyn Bynum Everidge; wife, Kathy Marie Doebler; daughter, Tiffany M. Tillman (Kyle); two sons, Michael W. Doebler (Toni) and Jason E. Doebler (Angelina) ;brother, Ronald Dean Doebler (Marla); two sisters, Donna Lynn Doebler and Channa J.R. Young; five grandchildren, Avery Doebler, Easton Doebler, McKenzie Doebler, Kylie Tillman and Tinsley Tillman; many nieces and nephews. He was preceded in death by his father. I was so sorry to hear of Mike's passing. Shared a lot of memories from elementary through high school. Rest in peace old friend. My prayers go out to the family. We have lots of childhood memories together. May he rest in peace. He will always be remembered. Many PRAYERS and condolences to the Doebler's!!! Lots of precious memories with Ronnie, Mikey and Donna growing up! Very saddened by Mikeys death. Much love to all! Beth Ruff Stevens. You were my friend. I will miss you. There were things I wanted to share with you. My heart is saddened. You will live on in my thoughts. Farewell my friend in the presence of our Lord. My deepest and heartfelt sympathy to George's family. Life Stories provides friends and families a forum to post their favorite stories and memories of George Michael Doebler ensuring the precious experiences are never forgotten. Share joyful times, post a photo that captures the moments you cherish, and allow others to reply, relive and remember.